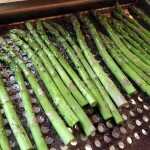 The one thing I miss the most after switching to a gluten free/mostly paleo diet? Buffalo. Chicken. Wraps. These are also one of my hubby’s favorites and I too-often find myself watching longingly as he eats these wraps from heaven at restaurants. Of course, I can still get that buffalo chicken taste from salads and chicken wings, but it’s not the same. My normal routine is to hit the grocery store after work, but ideas for something other than baked chicken have been lacking until recently, when inspiration struck. 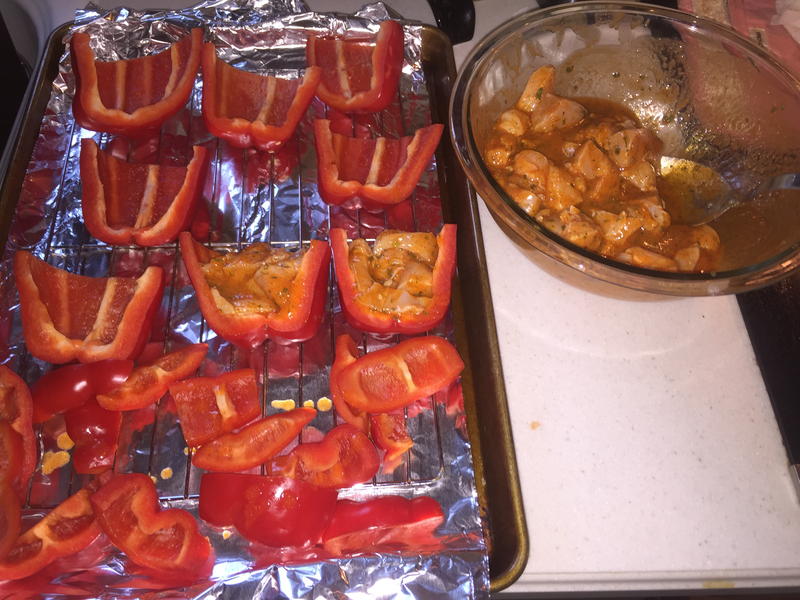 I thought… why not try using peppers to re-create the buffalo chicken wraps that I love so dearly? Yes. Amazing idea. So good. Of course, I immediately started googling recipes at the next red light (don’t judge). I didn’t find anything that was quite right, but have combined and perfected a few methods to deliver to you my new FAVORITE MEAL. 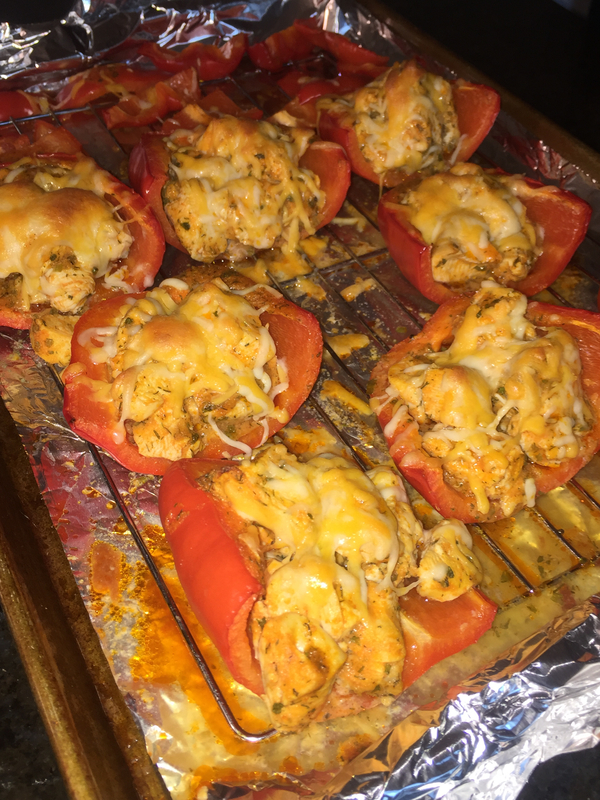 Buffalo chicken wraps using a bell pepper as the “wrap”. You have got to try these. 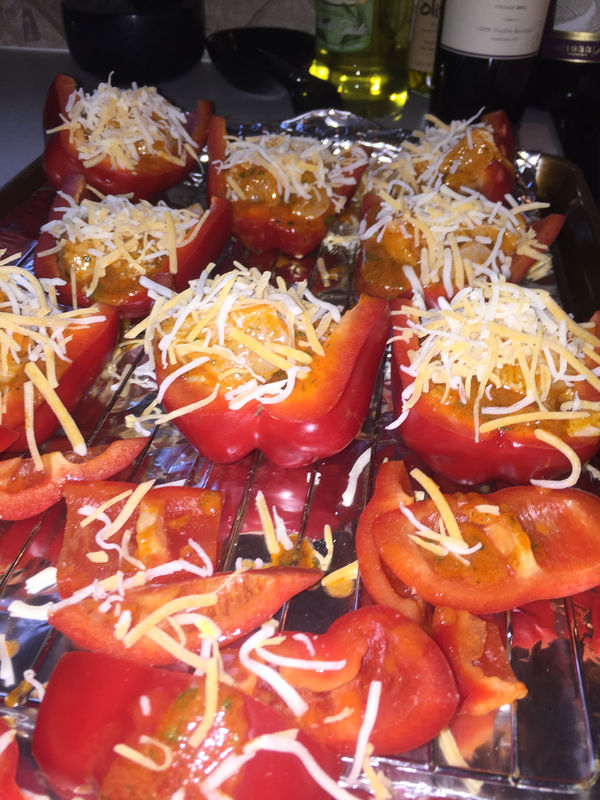 If you like bell peppers, buffalo, and cheese then you will like these. 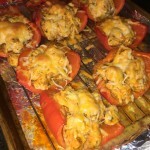 I’ve tried red, yellow, and orange peppers for this recipe, and red is definitely the winner in my house. The best part about these? Make extra and they are amazing warmed up in the microwave the next day for lunch. Make it easier for next time: Mix 1 tablespoon of each dry spice into a bowl. Grab 1 tablespoon for this time, save the other 4 tablespoons. This will get you setup to make this dish 4 more times. Trust me, you’ll want to. This recipe makes enough for 2 with leftovers for lunch expected. 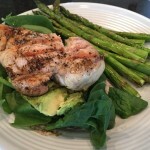 Tip: freeze the chicken for 15 minutes prior… you’ll thank me when cutting chicken suddenly becomes super easy! Over medium heat, melt the butter and buffalo sauce in a small pot (stir occasionally while melting). Remove from heat when melted. Put the cubed chicken in a bowl and pour the dried spices and the warm sauce/butter combo over chicken. Mix it up. 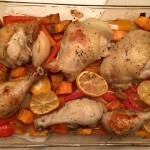 Cook for 30-35 minutes at 350 degrees or until chicken is cooked through.